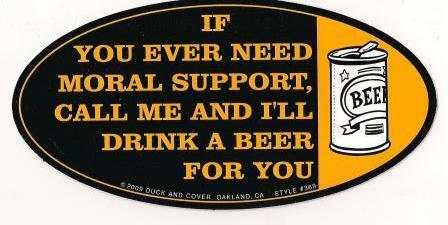 If you ever need moral support, call me and I'll drink a beer for you. Oval shaped removable vinyl sticker measures approx. 3 1/2" x 7" . Our stickers with not so politically correct messages really make a statement.